The ZBA Z-1060 has been discontinued. No direct replacement is available. 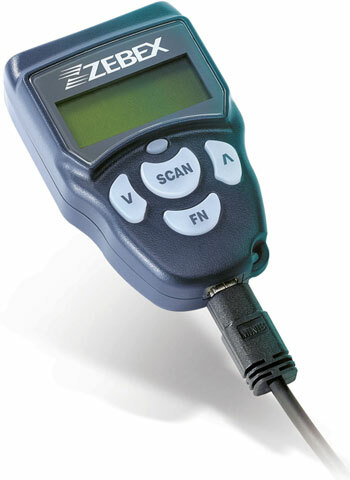 ZBA's Z-1060 portable data terminal incorporates a high-performance CMOS microprocessor, 1024 pixels CMOS image sensor and 15-40 mm depth of field to ensure quick and accurate scans. 32KB of non-volatile memory allows it to securely store up to 1,000 UPC/EAN barcodes that the device retains even if the batteries run out. Append, search, view, or modify stored data quickly and easily on the 4-line LCD without having to connect to an external display. Also, with its real-time clock function, the unit allows you to automatically time-stamp each and every scan mode.